Andy Murray will team with his older brother Jamie Murray against Thomaz Bellucci and Andre Sa of Brazil in doubles competition. Andy Murray is quite adept at wielding a tennis racket. Holding a giant flag? He needs some work in that area.Murray joked Thursday about having had a tad bit of trouble during a photo op for the British team at the Rio de Janeiro Olympics, posing with the flag while standing next to a member of the royal family. He vowed to get in a bit of practice before Friday’s opening ceremony practice holding the flag, that is. Murray called his assignment “inspiring” and said he thinks it will help him perform well during the Rio Games. Murray is seeded No. 2 for singles in the Olympic tennis event, behind top-ranked Novak Djokovic. Murray won a gold medal in singles and a silver in mixed doubles with Laura Robson at the 2012 London Games. He is scheduled to play his opening singles and doubles matches Sunday. 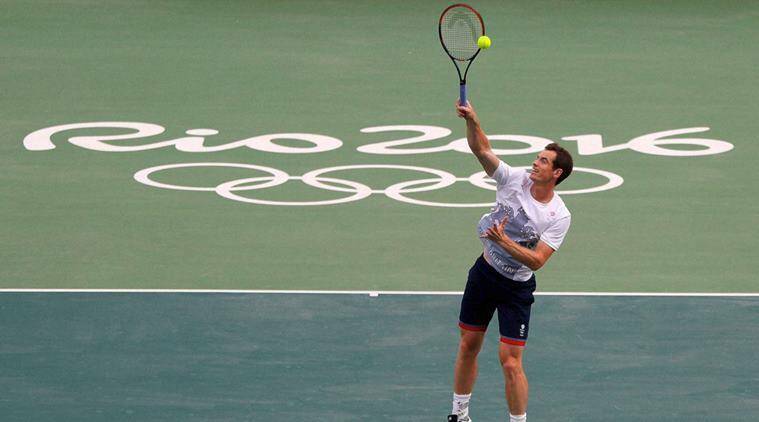 In singles, he’ll face Viktor Troicki of Serbia, someone Murray has beaten all seven times they’ve played. In doubles, Murray will team with his older brother Jamie against Thomaz Bellucci and Andre Sa of Brazil. Jamie is looking forward to seeing Andy carry the flag on Friday. Sunday’s matches will be Andy Murray’s first competition since July 10, when he won Wimbledon for the second time. He took more than a week off afterward, before resuming training.